I have a penchant for collecting eyeshadows. 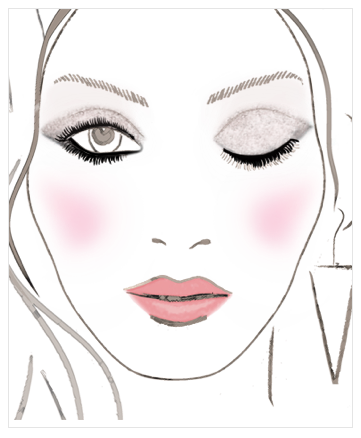 Because although I'm not yet a makeup guru, thankfully to those illustrated guides, I can actually wear or steal the look. And not to mention, that the eyes are the windows to the soul, so yes, they can make or break your look. 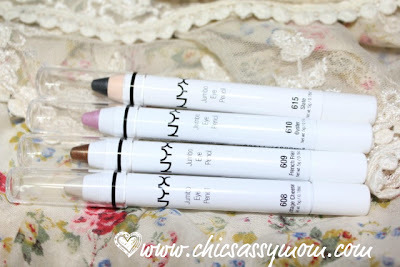 When I saw the NYX Jumbo Eye Pencils, I knew that I have to stash them, because they're versatile eye makeup. You can use them as eyeshadows, no frills. 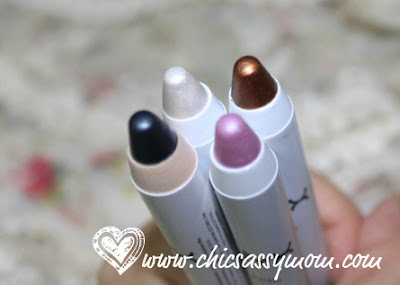 Or use them as eyeliners, tear liners, or blend them with your favorite eyeshadow palettes. On my first NYX haul, I got the basic colors. 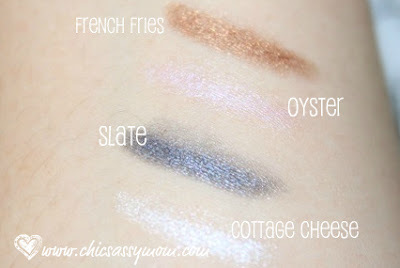 French Fries (Brown), Slate (Black/Grey) , Cottage Cheese (Pearl), and Oyster (Pink Champagne). Creamy Eye Pencils made with a blend of mineral oil and powder. Swatched. 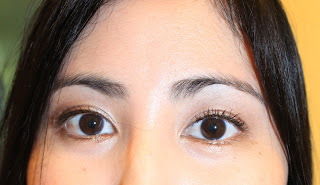 The darker shades (Slate and French Fries) are very pigmented and have better lasting power than the lighter shades. 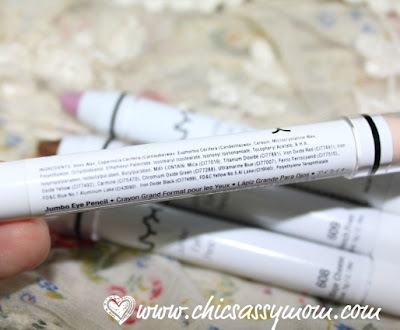 I use the lighter shades to fill my lids (about 1/3 from the nose bridge) and in the water lines as tear liners. For a no frills application, you can just line/fill your lids with them to match your look. Either going for a smoky effect with the Slate. Or with go au natural with French Fries. Or if you're up to level up your eyeshadow makeup, complete the look by blending them with other colors, and set them with powder shadow for a more lasting and creaseless look. I used French Fries (2/3 of my lids from the outside), and Cottage Cheese from the inside. I used them with my Lancome Quad Eye Shadow. 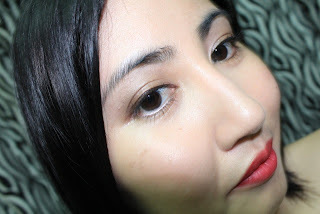 With NYX Soft Matte Lip Cream in Monte Carlo. 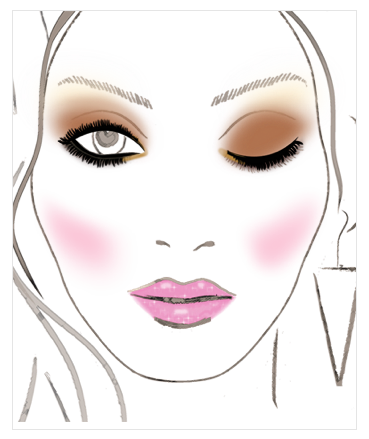 Option to use NYX French Fries and Gold (need to get one soon). I modified it by using the Cottage Cheese. 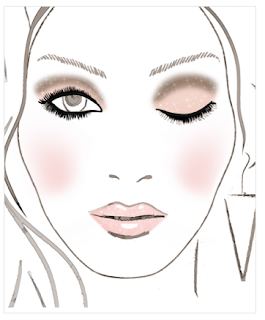 Option to use NYX Oyster on the lower lids, and Slate to contour. Option to use NYX Cottage Cheese and Slate. Since, we don't have them yet here, I got mine at Digital Traincase. your eyebrows look perfect too. Do you do it yourself too? @Mommy Ces: I do my own eyebrows. :) Thanks.